Looking for a brake controller for a 3rd gen Tacoma. I was hoping to find one that doesn't look out of place, or juts out of the dash awkwardly. Tekonsha units seems to have good reviews, so that may be what I go with. I just wish there was a more sleek looking solution available. 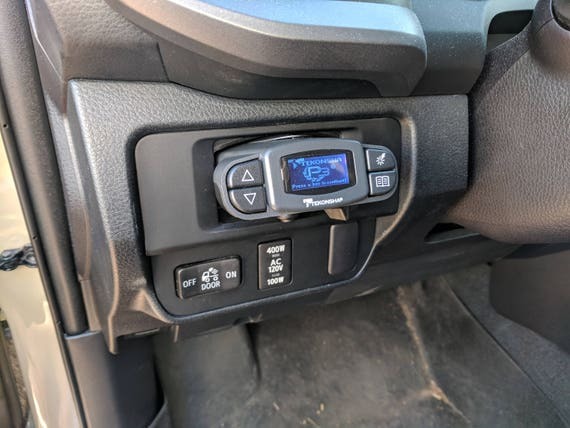 F150 controller. So simple and clean. There may be a mount somewhere for the Tekonsha (which is an awesome controller, BTW). I bought one from a gent for my Tundra a while ago... i'll see if I can dig it up. It was a mount that put the Tekonsha in the place where Toyota had promised the built in unit. Looked... okay. And will be buying the Redarc controller linked above. Should look pretty minimal when done.